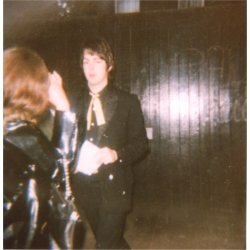 One of the awesome visitors to MTBFR asked me if I had the fan photo of Paul leaving for the premiere of Yellow Submarine. I wasn't familiar with the photo, so I did a little digging and discovered that I DID have it in the MTBFR files, but I just had it labeled as "1968 Paul outside Cavendish." I somehow didn't connect that he was dressed for the premiere. It is a great photo!